It’s a pretty common scenario. A mum braves the shops with her pre-schooler and gets told off by a stranger. Hannah Sewell, from South Carolina has documented one such incident on Facebook. Sewell writes that she was shopping in Aldi with her four-year-old son Caden, when he spotted that his favourite apples were available. In his excitement, he started jumping up and down. But rather than admiring her parenting (I mean, the kid is excited by apples – clearly she is mother of the year material) a stranger approached her to reprimand her and her son. The stranger told Sewell to control her child and then spoke directly to Caden. “Instead of saying hi, you got close to his face and asked him ‘What is wrong with you, does your mommy never take you anywhere?’” Sewell writes in an open letter to the stranger. Unsurprisingly Sewell was upset by the incident, but her son took it particularly badly. Even a trip to Wendy’s didn’t cheer him up. “I thought he would like some nuggets and he loves the apple slices there because they’re different colours and he can line the colours up on his tray. But he didn’t get excited. He didn’t smile or jump. He just sat there with the saddest f***ing look on his face while he picked at his food,” Sewell writes. The post brings back memories. My eldest daughter, G, now nearly nine was an incredibly energetic toddler. She was never deliberately naughty, but she was a handful. I didn’t take her to the shops unless I really had to. And when I had to, I made it my mission to get in and out as quickly as possible. But that didn’t stop incidences such as the one Sewell describes from taking place. People frequently tutted at my daughter and me. And on a particularly awful day, an older woman told me to “control” my daughter. At the time, G had been dancing in the small corridor by the lifts – not tantrumming, not screaking, just dancing. I’m generally pretty resilient, but the incident really shook me. Years of constant tutting and disapproving looks had worn me down. I grabbed G and got the hell out of there. I cried all the way home while my darling girl wondered out loud why we didn’t buy the milk we had come out for. The funny thing is that time changes everything. G is still “a character” – but now that she is older, she’s “a character” that strangers in supermarkets enjoy interacting with. She says hello to people we pass (older people in our neighbourhood love this) she makes cheerful comments about the weather. She holds doors open, and when we’re in a lift, she asks strangers which floor they would like so she can push the button for them. I don’t get tuts and disapproval any more. I get warm smiles and compliments on my daughters “beautiful manners”. It always makes me smile. She is the same kid that danced in the corridor – but as a pre-tween, she’s not seen as disobedient – she is seen as delightful. Sewell’s now viral post has been flooded with comments from other parents who have been in the same situation. It is flabbergasting that strangers feel they have the right to comment and judge. 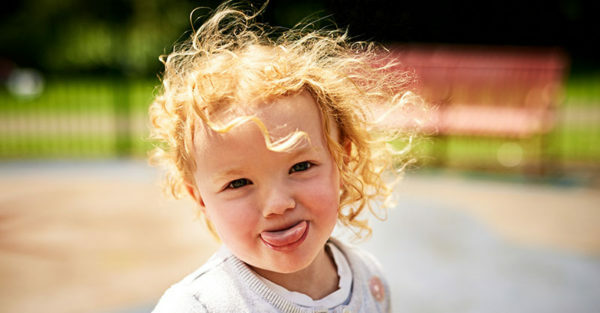 What is more flabbergasting is the lack of foresight – the kids that show a lust for life in the toddler years are the ones that they’ll want to say hello to further down the track. To Sewell – keep doing what you’re doing – you’ll get the last laugh in the end.